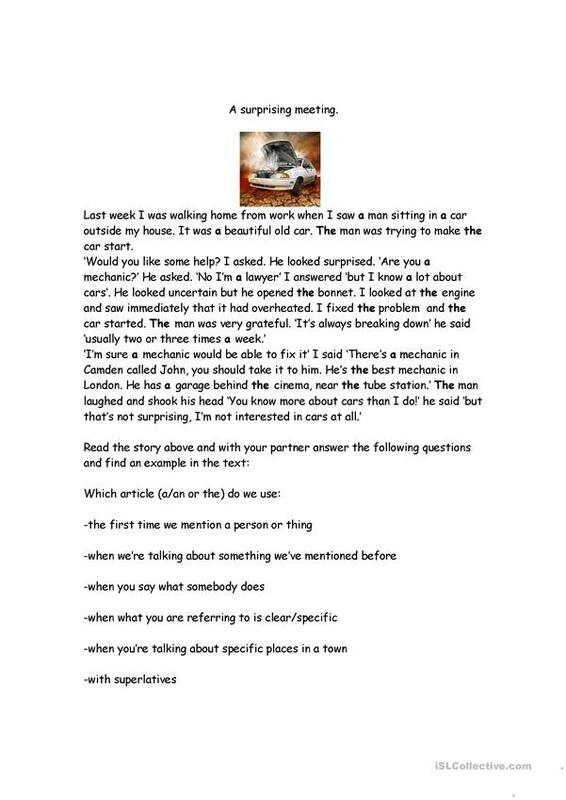 A reading exercise introducing a/an and the in a reading exercise and then asking learners to think about when we use each article. This can then be explained by the teacher. 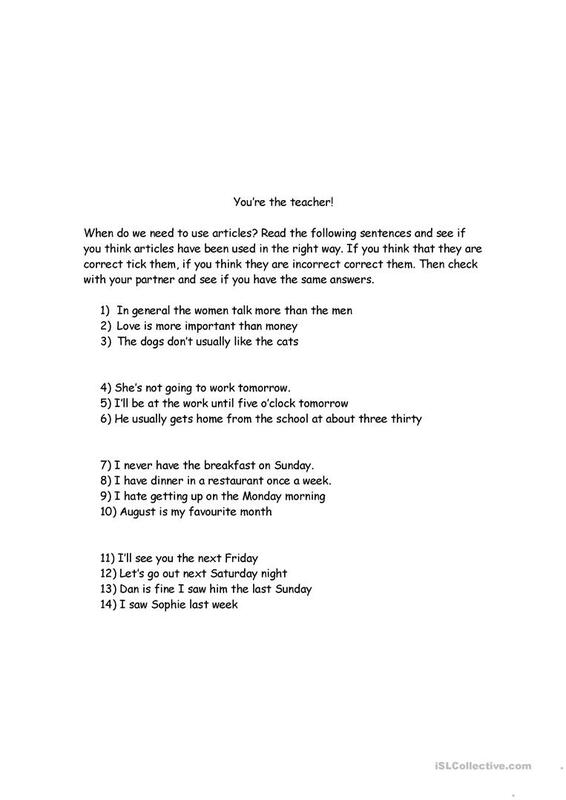 There is then a speaking exercise also intended to encourage use of articles. This downloadable handout is recommended for high school students and adults at Pre-intermediate (A2) and Intermediate (B1) level. It is great for teaching Articles in English, and was designed for improving your students' Speaking and Reading skills.